Ah! What if you been to Jaipur and not tasted its famous Lassi, Lassiwale ki Lassi. 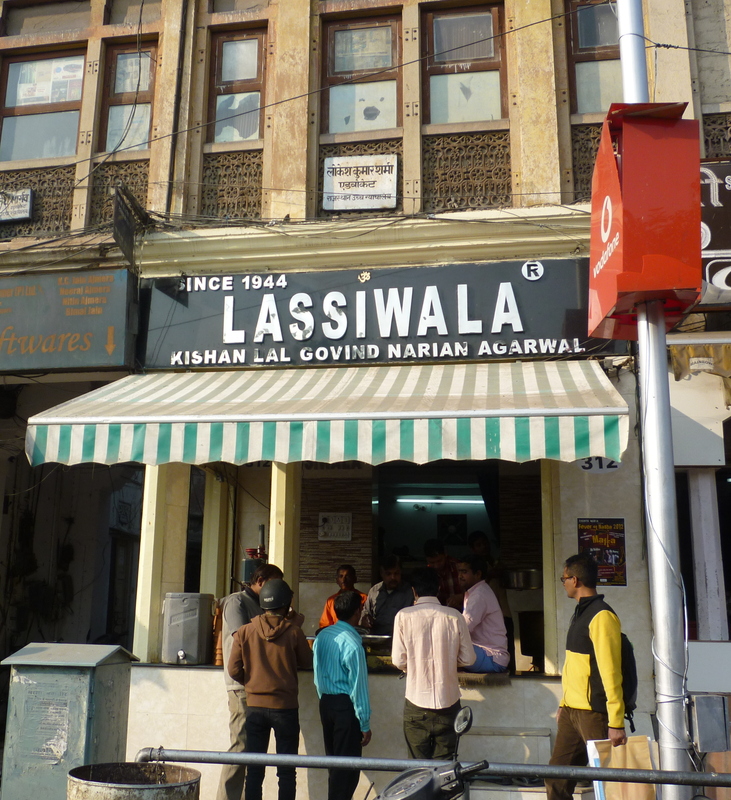 The Lassi wali ki shop at MI Road is the oldest and famous Lassi shops of the city. “The Lassiwala” Kishanlal Govind Narayan Agarwal at Panch Batti Chowk, MI Road is a well known face here or say an institution in Jaipur. He starts churning out lassi early in morning by 8-9 a.m. It is advisable to get there early as every last glass is sold by 4-4:30p.m. at his place. Its Lassi has both the taste and has the well balanced nutritional values. Since the decades Lassi wala has been able to make its place among the famous lassi shops of the city. Whenever you are busy around MI Road and feel like sipping a refreshing drink, Lassi wale ki lassi shop is just the minutes away. The preparation of Lassi is simple; it’s just the combination of milk, sugar, mawa, and baraf. The lassi usually is served in earthen glasses called“kulhads” and indeed a perfect refreshment during hot summer afternoon. There are some other ‘lassiwalas’ nearby, but real Lassi wala is only one. No other Lassi Wala has been able to churn out lassi the way he does with a thick layer of malai on top. There is no seating place so you have to have the Lassi while standing on the street. Beleive me, if you can, go for a snooze after having one, it will be one of the best naps you will ever have in your life. Must visit ‘Lassiwala‘ for amazing gastronomic experience!! Next Post Children Film Festival Starting From Today!